Bankruptcy can be a frightening and anxiety-provoking state to find yourself in. Misconceptions and fears can compound an already burdensome situation. Times such as these call for a practiced and calm professional to help you take charge of the situation, and assist you in navigating the legal necessities you face. Richard Parker and Laura Donaldson are licensed professional attorneys with over 30 years of combined experience representing people like you who find themselves facing the complexities of bankruptcy. We are excited to offer appointments at both our Portland and Canby offices. Please call our staff to find a location which best suits your needs. Use this form to contact us to arrange for an initial consultation. The first 30 minutes of a bankruptcy consultation is free, additional time or other matters such as student loan issues or wills billed at standard rates. Please provide details as to how we can assist you. Do you own or operate a business? In today's economy, even hard-working and diligent people are facing adversity and the inability to pay their bills on time, or at all. The worry over this can affect your sleep, physical and emotional well-being, family and work issues, as well as your credit-worthiness. The onslaught of bill collection phone calls and mailings can put even the strongest person over the edge. This is the time to speak with an experienced professional whose ethics and practices will stop the harassment and bring order and calm to what can feel like a stormy situation. This is the time to pick up the phone and contact Richard Parker or Laura Donaldson for a free, no-obligation consultation to find out where you stand in the complex world of bankruptcy laws. Each and every client is treated with dignity, respect and care. We understand that this is a difficult time in life that requires compassion and an intimate working knowledge of the law, to see you through to achieve the best possible outcome. We provide professional service at affordable cost to individuals, small businesses and farmers working in various agricultural disciplines with regard to Chapters 7, 12 and 13 of the bankruptcy statutes. Our attorneys are also knowledgeable and offer assistance and guidance with student loan issues. Feel free to use the contact form to begin your inquiry, or call us directly at the number listed below to begin the process of stopping the harassing phone calls and mail from collection agencies, while forging a path to financial health and well being. Bankruptcies can happen to anyone, anywhere in our state, and at any time in life. We are a small firm that provides personal attention to each and every client. We service primarily the Portland metro area, encompassing Multnomah, Clackamas, Washington and Marion counties. We also serve the communities of Canby, Clackamas, Oregon City, Silverton, Woodburn, Keizer, Salem, Damascus, Molalla, Estacada, Milwaukie, among others. Please contact our office to discuss any questions you may have about representation. 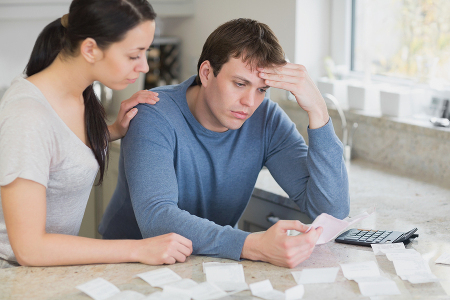 We are here to help you navigate and negotiate your way through the process of filing bankruptcy. Click here to view the full list of Oregon communities we serve.